These occasions offer not only wonderful value for money but also a great opportunity to get into the festive swing of things. Popular amongst the older ladies and gentleman but certainly not limited to, our Christmas lunches are a joyous occasion for all the family. 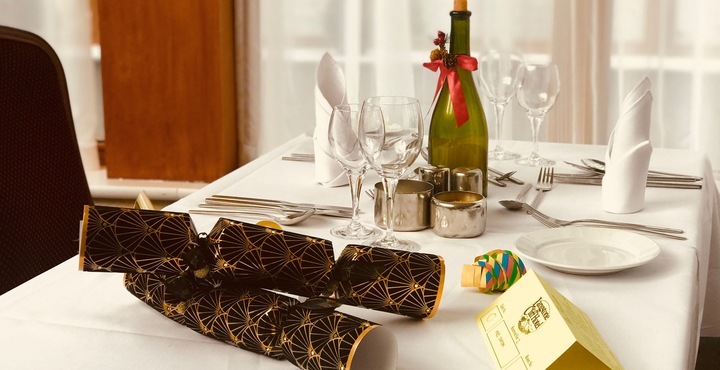 Lunch is served between 12.30pm and 2pm and includes a pleasing Christmas menu, complete with a glass of wine or soft drink and easy going live entertainment with Christmas favourites. All you need to do is sit back and sing-a-long or alternatively get up and have a cheeky dance before winding up the afternoon with a warm mince pie and a cuppa. To book your space at one of our midweek Christmas lunches, call us on 01626 868000 or contact us here.